Our bank of hard drives (plus their backups) finally reached near capacity, so it was time to invest in additional on-site storage. It wasn't a difficult decision. 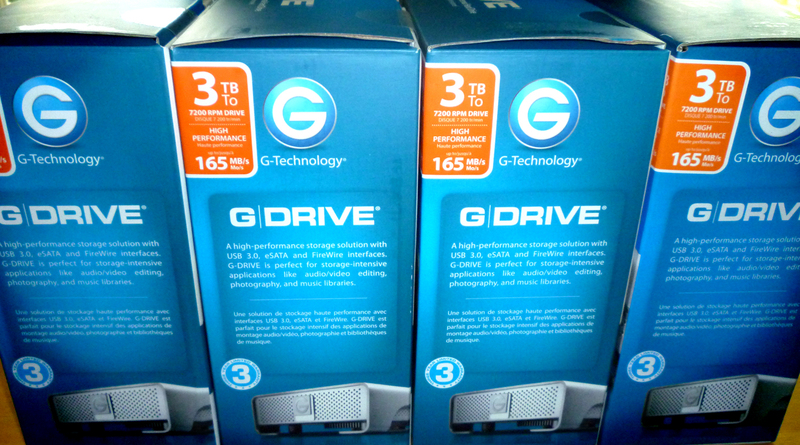 We've always had good long-term success with G-Tech and so decided to stick with their drives. We purchased four 3TB units.